Dreaming of outdoor weddings with an intimate ceremony, exchanging vows before sunset with ocean or mountain view, candlelit dinner under fairy lights, romantic first dance with your favourite song? We are passionate to capture your story and let you relive the emotions and moments for the years to come. We approach shooting your wedding in an unobtrusive way and thus capturing real emotions and love. 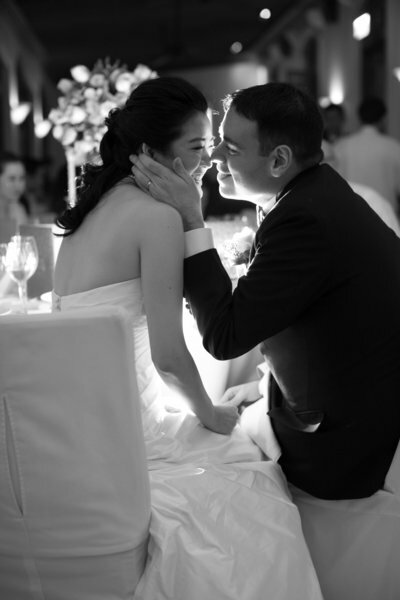 Having photographed more than 100 weddings in Hong Kong and other parts of the world, we are experienced in shooting intimate to medium-sized weddings and we work hard to provide a friendly and professional service so that you, your family and friends are able to enjoy the wedding. Enjoy the day feeling great and beautiful with your favourite lingerie, high heels and dresses. We believe in capturing the beautiful moments and emotions in a chic, classic, romantic and timeless style that you could frame into art pieces and reminisce over time. we capture your moments to LAST FOREVER. "WE ARE SO HAPPY WITH HILARY'S WORK - WE WILL TREASURE OUR ALBUMS AND PRINTS FOREVER"
"HILARY'S PHOTOS HAVE THAT X FACTOR THAT TELLS A STORY THAT TOUCHES THE HEART"
"WE ARE SO GRATEFUL TO HILARY FOR HER BEAUTIFUL PHOTOGRAPHY, EFFORTS, AND THOUGHT THAT SHE PUT INTO THIS EXTREMELY IMPORTANT EVENT IN OUR LIVES." "THE PHOTOS ALWAYS BRING US JOY AND REMIND US OF THE BEST PART OF OUR WEDDING DAY - HOW BLESSED AND LOVED WE WERE BY EACH OTHER, OUR FAMILIES AND FRIENDS"
"HILARY CAPTURED OUR GREAT NATURAL MOMENTS! IT HAS BEEN A GREAT EXPERIENCE"